We have a full manufacturing facility right here in the USA. 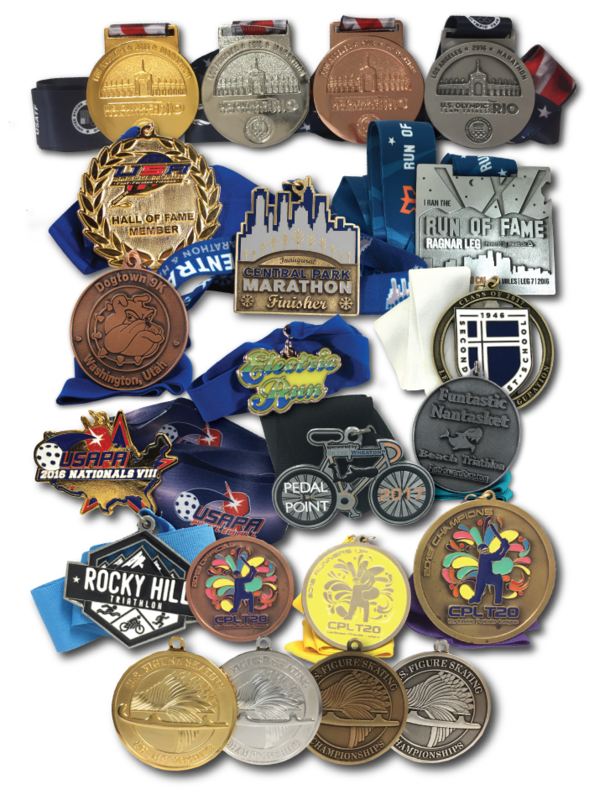 Our medals are either spin or die cast, depending on the design. They are able to be plated using bright gold, silver and copper or antique gold, silver or copper finishes along with the option of adding soft enamel or glitter color fill. To learn more check out our video showing how our medallions are made in the USA by clicking here Contact an account executive today by clicking here!